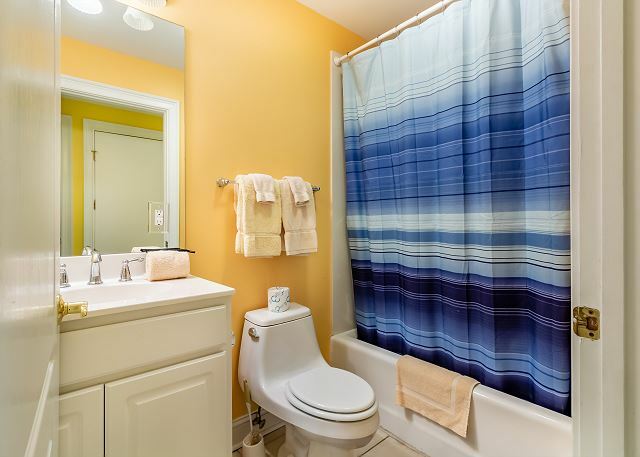 Bring the sunshine of your life to this sunny 3 bedroom, 2 bathroom getaway!. 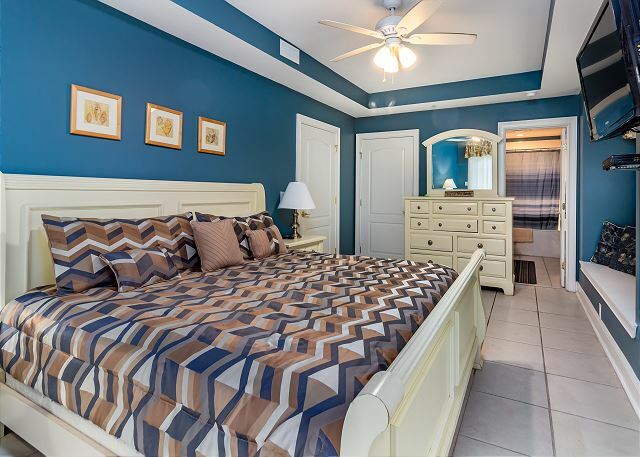 The master bedroom has a king sized bed and an ensuite bathroom boasting a huge jetted tub. 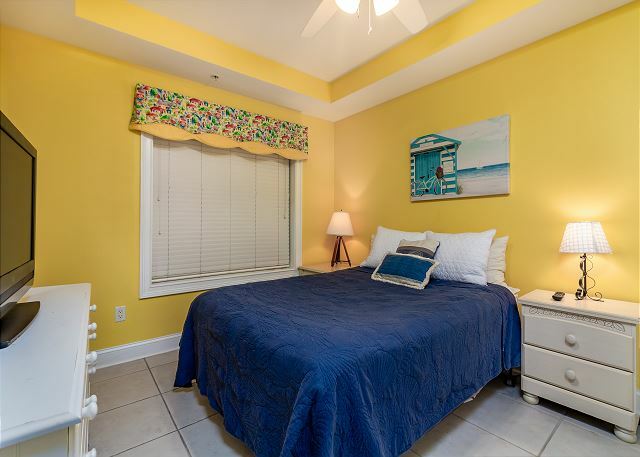 The second bedroom has a queen bed while the third has a pair of twin beds, and they share a second full bathroom. 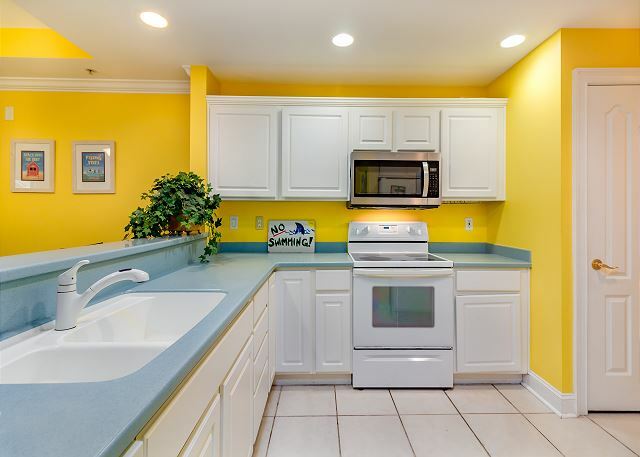 A fully stocked kitchen is separated from the spacious living room by a breakfast bar with seating for three, and a kitchen table with room for six! The living room and master bedroom has the added luxury of window seats from which to read a favorite book, or simply daydream while gazing out the window. 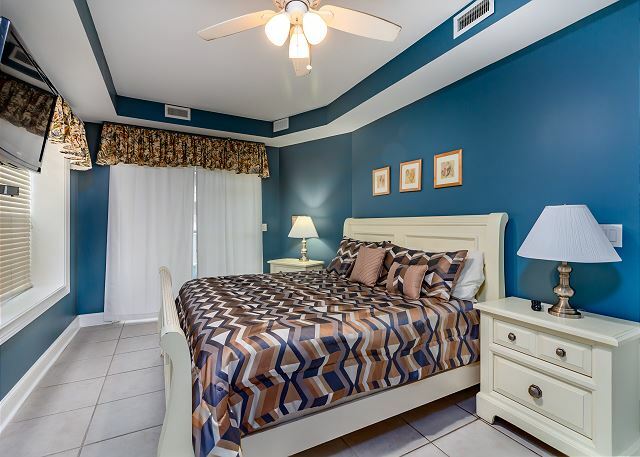 Each bedroom is outfitted with a flat-screen TV, while the living area has both a flat-screen and a DVD player for cozy nights in. The wrap-around balcony is accessible from the living room and master bedroom, and the full-length sliding-glass doors allow the sunlight to stream in all day! This was a last minute rental but we were happy to work again with Jennifer from Beachside Colony. 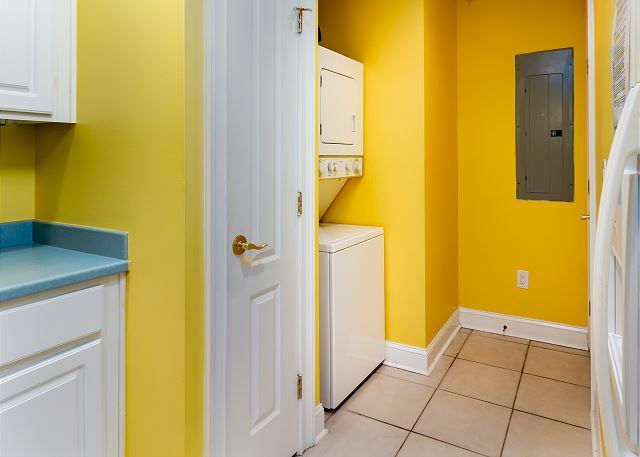 We have rented this unit before but we found it lacked many kitchen needs (no mixing bowls, cookie sheet, baking Pyrex pans) In the front bedroom the mattress had a stain (which appeared to be urine). Then through no fault of Beachside Colony on Easter Sunday the beach area in front of the complex was closed due to pipelines being run in that area. 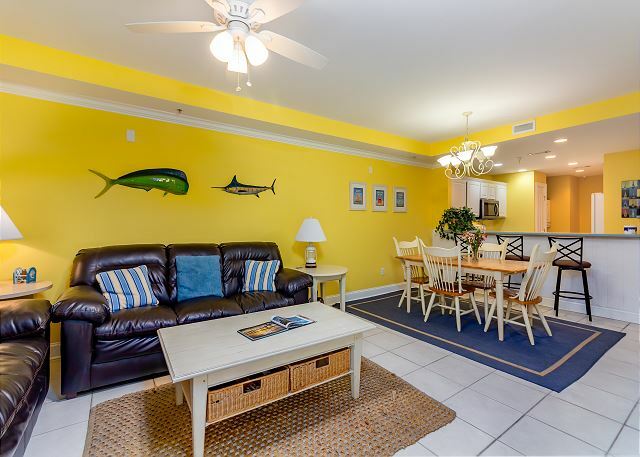 Of course, this was disappointing as I had rented this complex because of my 18 mo old grandson never experiencing the beach. It was an easy way for me to maneuver with him.Thankfully the pool was heated and he enjoyed the pool. Everything was nice. Easy beach access. Indoor parking. Great Stay. My parents along with the four of us (including our families) wanted to do a vacation together. 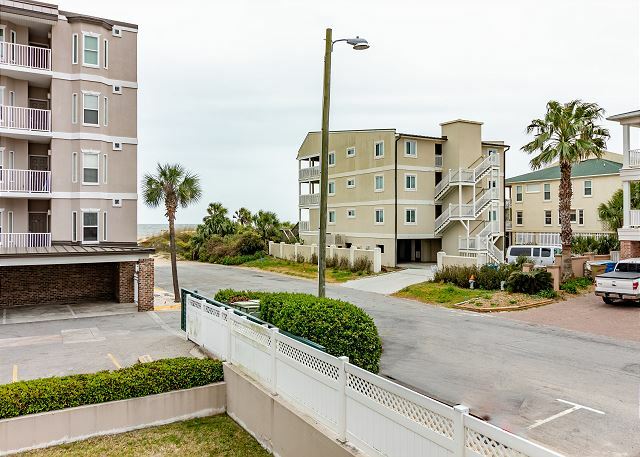 I have been to Tybee several times and love staying at Beachside Colony so it was a no brainer for me. We really enjoyed our stay and always recommend Beachside to our friends and family. My family (3 daughters with son in law & grandchild & dog) spent the weekend & had a lovely experience. Everyone is so nice & helpful! We enjoyed the rental. 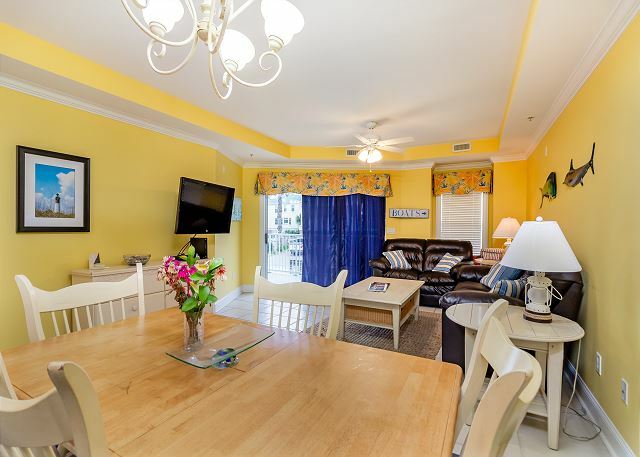 It was very spacious and located in a great area of Beachside Colony. The draw back was the animals (and I am an animal lover). I was woken up EARLY each morning by either a dog barking or a cat crying. 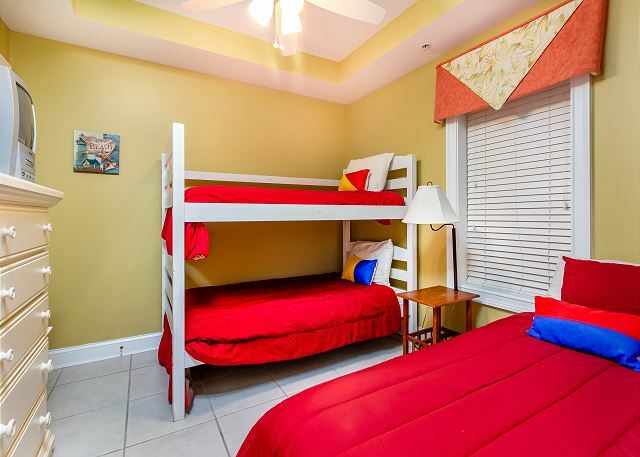 BUT overall the location was great and clean and the beds were very comforable. The condo was great and just as pictured. 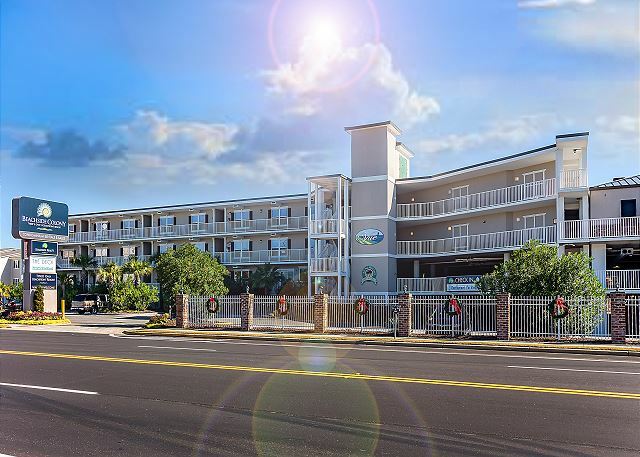 It was steps from the beach and was convenient to restaurants, shops & a grocery store. It was nice to have a restaurant & bar on site. 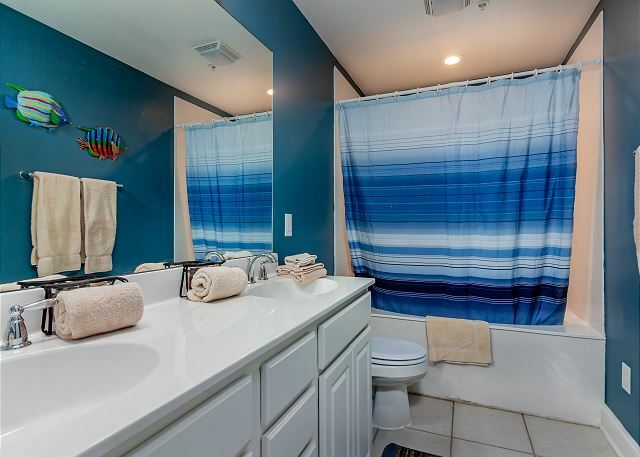 The condo was comfortable and clean and large enough for 6 women to share. Kitchen was stocked and living room was comfortable. Great place! I asked before I booked if there were pools to swim in, I was told 3 pools. I asked if they were big, she said two were. These were the smallest pools I ever seen. No way could you swim. The tiles were falling of the sides and there was mold on the tiles. Two of the three bedrooms were on the wall with the parking garage. They cars were parked just a couple of feet from our beds. The sound of horns in a parking garage keep us up. They had card entries on the doors, but they were broken. Therefore they gave you a key, that all previous renters could of copies. DO NOT STAY HERE! We were able to book this condo the night before we left. Online was so easy. So impressed with the room. 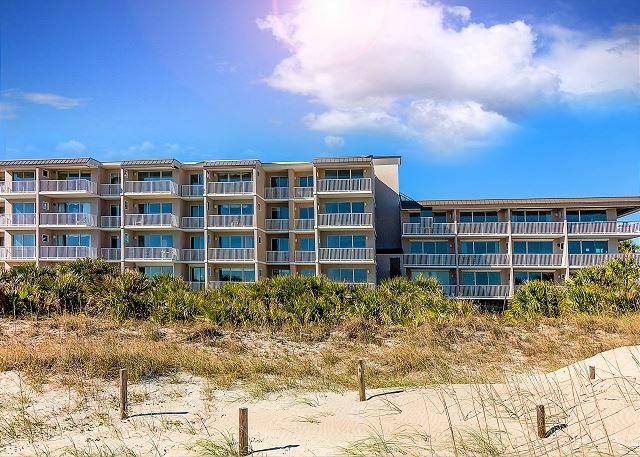 Very nice complex, and easy access to beach. We had an amazing time at Beachside Colony. It was so close to the beach and the place was really nice! Very pleased with this Condo and Staff. Would highly recommend! Very pleasant stay, relaxing, fun and yet peaceful. Looking to come again next year! Good service and the best resort/hotel! We could not have asked for a better room. Location, location, location!!! We really enjoyed out stay..and WE WILL BE BACK. Have already recommened to several of my friends. Great place to stay ! ?